The Beach Bistro bids you a Warm Welcome! 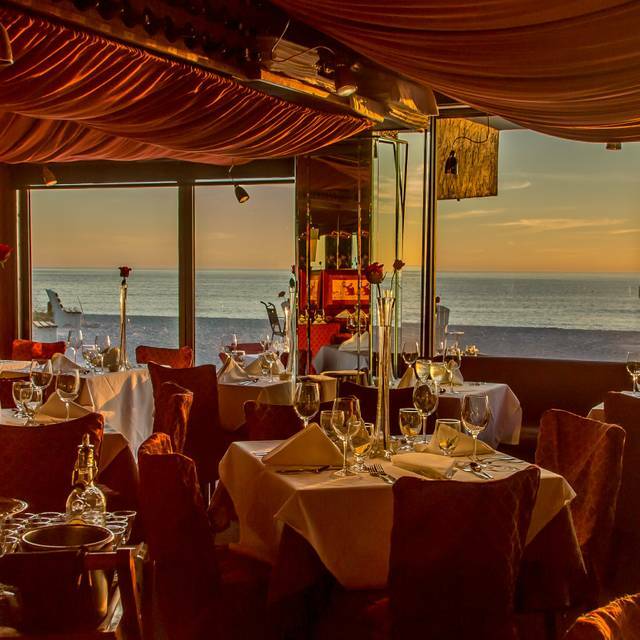 Award-winning surfside dining on the Gulf of Mexico. 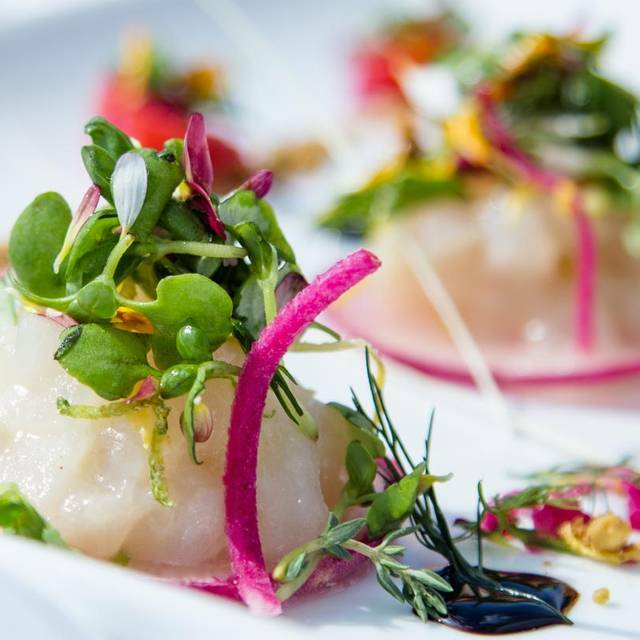 Discover World-class Dining on the beautiful white sands of Anna Maria Island. Come make a lifetime memory with us. We know that if we pair the very best of America’s food bounty with the area’s strongest team of pros that the outcomes will be exceptional. The Beach Bistro uses only the best of American Ranchlands Domestic Lamb, Prime American Beef and Maple Leaf Farms Duckling. 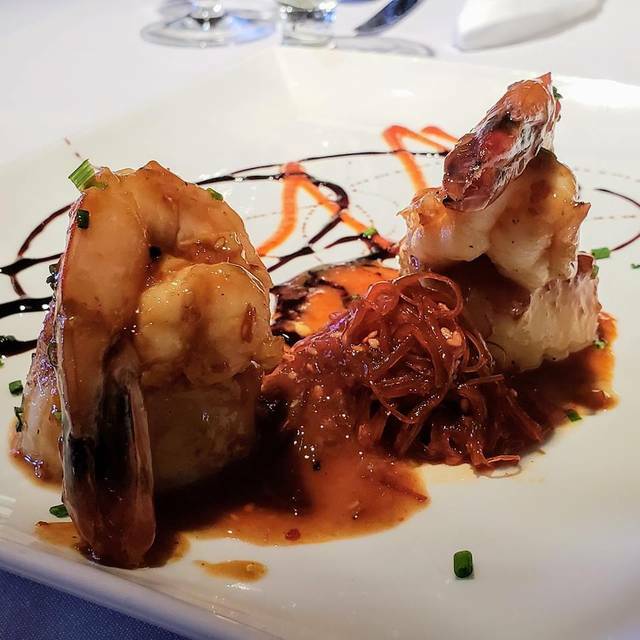 The Bistro’s Shrimp are truly Gulf of Mexico Shrimp, and our Fresh, Line-Caught Fish are sourced directly from people we know. 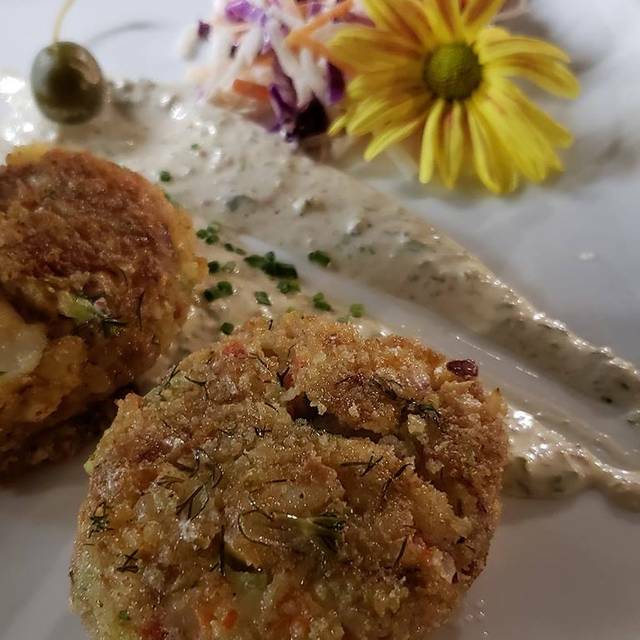 Our rising tide of vegetarian preparations are the product of our chef team’s talents for developing profound and unique flavor profiles. Plates for Beginning and Sharing. 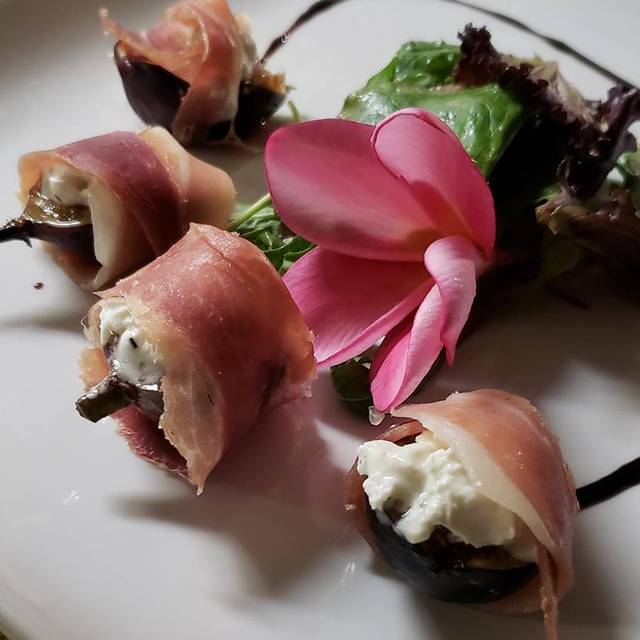 Seasoned Parrish plum tomatoes with sweet cream and blue cheese. Vibrant, full-flavored, herbs and greens in company with artisanal cheese, grilled fruit, seasonal vegetables, and today's house sorbet. Everchanging. Heritage plum tomatoes, warmed with an herbed vinaigrette. Garnished with baby greens, herb toast and Parmesan crisp. Lush chunks of Florida spiny lobster (instead of the chewy little slugs). Slow cooked in a crock with herbed spinach and seasoned garlic butter. A Bistro original. Often imitated. But then imitation is the sincerest form of flattery. Seared Hudson Valley foie gras on savory, "fruited" brioche bread pudding. Garnished with a vanilla bean and Sauternes reduction, nutmeg anglaise and aged balsamic. Sean: "I will stop serving foie gras when they peel my cold, dead fingers from my fork". A "Novey" lobster tail, butter poached with a hint of citrus and star anise served on a bed of citrus Anson Mills grits, in company with Mosca'd style shrimp. Fresh cheeks and throats – "the Captain's cuts." Bistro carved from fresh whole fish. Classic Française. Egg-washed, finished with a Key lime dill butter and capers served with chef's mashed. Unlike us they only have two cheeks, so availability is an issue. The sweetest cuts of fresh Gulf Grouper tossed with a bright Citrus Dijon Champagne Vinaigrette. $18. Our Caesar salad has a sacred lineage. The original recipe from Caesar Cardini's restaurant in Tijuana travelled to Arnaud's in the twenties. Sean was trained in its preparation at Arnaud's before opening the Bistro. For a Mick, like Sean, the sacrilege of changing our Caesar is too daunting. But for a few bucks ($5) and a risk to your mortal soul you are free to meddle. Extra Fish – with those cute little, sweet, white anchovies on top. with Bistro maple glazed bacon. Because Sean's Canadian relatives think Caesar salad has little bits of bacon in it. No idea why. All of the above. Caesar transformed. Finished with a little shallot and garlic. Kissed with béarnaise. With seasoned garlic butter, on a bed of farro braised in our vegetable demi. Flaked with Parmesan. Our version of Dauphinoise, layered with manchego, cream and chopped shallots, hinted with parsnip. First, you hire a bunch of pros to build a killer broth. Poach to order "Novey" lobster tails, jumbo shrimp, premium market fish, shellfish and calamari. Served with clever asides of herbed, garlic toast and aïoli. Brushed with truffle butter, then prepared in a classic Charlemagne style or with a cognac-pepper Normande. Only 1% of American beef gets to be "Prime" American beef - "Where we believe that the beer belongs in the cowboys". Simply the world's best, fresh, domestic lamb, from Colorado. Seasoned, pan-seared and oven-roasted. Finished with a port-rosemary demi-glace. 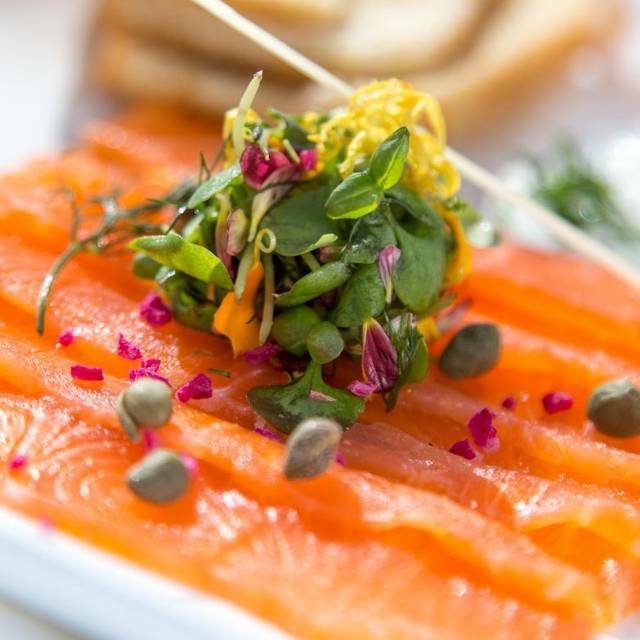 Served with a complementary sipping glass of Warre's Reserve Port. "You can tell from the flavor that it has never been frozen and carried across a major ocean in the bottom of a ship." Emeril's favorite. 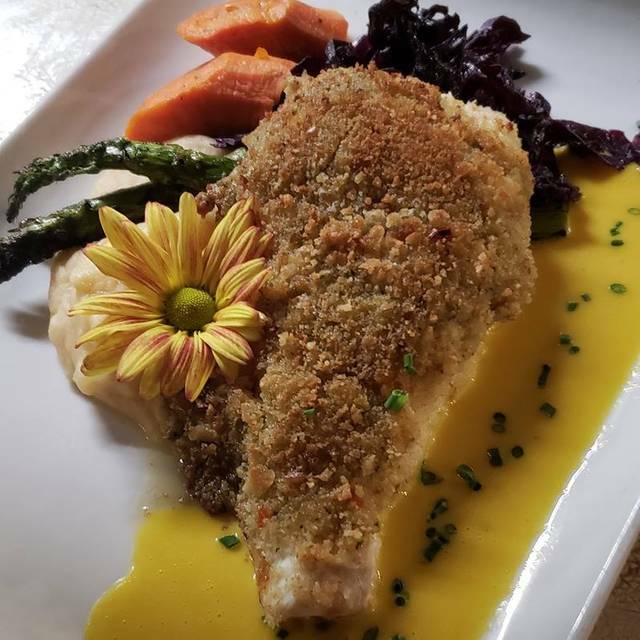 Real, fresh, line-caught Gulf Grouper with a toasted coconut and cashew crust. Dolloped with a red pepper papaya jam. Stolen from chef Norman Van Aken. 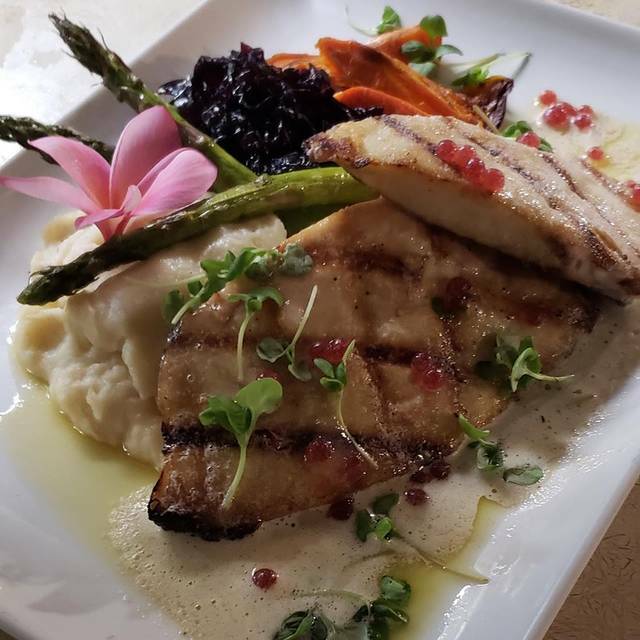 Real, fresh, line-caught Gulf Coast grouper, pan-seared and crowned with butter-poached lobster and kissed with aurora cream. Worth dying for. The richest food marriage. Colorado lamb, butter-poached Nova Scotia lobster and Hudson Valley foie gras, all on a brioche bread pudding. Served with a port demi-glace sidecar and a sip of Essensia. Sublime. "A Dionysian vision from the end of a pier in Maine." The Bistro's Feature Presentation at The James Beard House. The Tucker family's Maple Leaf Farms duckling. The duckling leg is confited, then pan crisped and torched. The duckling breast is seared like a steak. Garnished with a pepper Normande then finished artfully according to the Chef's whim. Tender. Crispy. Lush. Grilled with bourbon barbeque and Maple Syrup, on pomegranate-citrus Anson Mills grits, garnished with chimichurri. Chef's pick, whimsical selections, with farro and a true vegetable demi-glace. Very quaint restaurant. Option to dine right on the beach. The food is outstanding and the the staff is World Class! Beach Bistro is the best restaurant on AMI! A wonderful experience. On the expensive side but well worth it. Food was amazing from start to finish. Special touches, like black napkins for the women so no white fluff gets on their clothes, a taste of a special cocktail, an unexpected piece of focaccia with pesto and olive tapenade, a gift for the women of a boxed chocolate truffle as they leave - all these added up to a lovely experience. Look forward to my next visit. Terrific dinner. I took half my entree home and it was just as wonderful the second time around. Yes, the snapper special was delicious! Fabulous dining experience. Started with a drink on the beach watching the sunset. Moved into the restaurant which was very relaxing and inviting. Staff were very attentive. Ser vjb ice was excellent. Food was beyond expectation. Lobstercargot, Pate` were delicious. We had grouper 2 different ways, snapper and duck and all were expertly presented and everyone raved about their dinner. Excellent food, great ambiance. We will definitely go back! Our waiter Adam was superb! Marvin at the bar is equally exceptional! The food was magnificent and the ambience extraordinary! Unfortunately the fog rolled in so we were not able to dine on the beach however I highly recommend that experience! My favorite restaurant in the state of Florida, even my favorite in the American south. The staff is lovely and attentive. The dining room is small so it's cozy and beachy at the same time. The food is fabulous. The sommelier (David) is just so great! Knowledgable and open and very willing to help you pair a wine to suit your palette and meal. LOVE this place. It was a wonderful experience. Definitely an upscale restaurant that checks all of the boxes. The food was amazing, the service just as. The atmosphere truly put you in the mood for a fine dining experience. When dining for two the tables are a little close together so get comfortable hearing your neighbor's conversation. A little on the pricey side but on par with a fine-dining experience. Would definitely go back. Foie Gros was AMAZING. Rack of Lab well prepared with excellent flavor. Unfortunately my wife had a $66 dinner “Grouper Cooper” which had a DRY PIECE OF GROUPER which was over cooked &!NO FLAVOR, the 1/2 Split lobster tail was superb but for $66 would expect the WHOLE TAIL which was a small tail anyways. Always good. This time slow service however gave us time to catch up with old friends. Prices on high side for lunch. Lovely meal and great view. The service was excellent! This is our favorite restaurant anywhere. Some people complain about the cost, but it is well worth it! The setting is amazing, the view beautiful, but even more impressive is the quality of service as well as the food itself. The waitstaff is so attentive, friendly and efficient. If you even think you want something, they are there to help you. We went on a cold Florida night and our waiter took our valet ticket before we were ready to leave so we wouldn’t have to wait for our car in the cold. The food is beyond amazing - from the salad all the way to dessert. Beautiful as well as delicious. Again, I can not give this restaurant high enough praise. The Best Restaurant, great atmosphere, wonderful waterfront views and the food is absolutely delicious! This is the only true 5 star restaurant in the area. 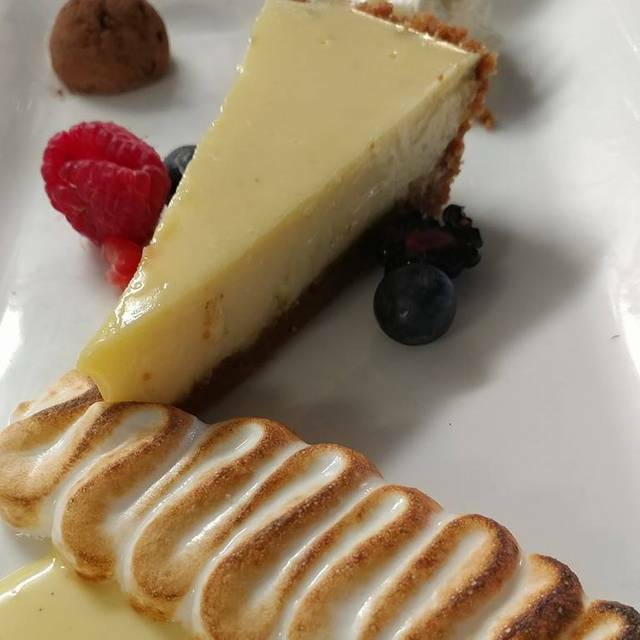 We split everything so that we could both enjoy all the tastes of fois gras with brioche, rack of lamb, and chocolate torte each served with a touch of sauterne or bubbly. We also had a beautiful Cabernet Sauvignon. The service was great with Chris. We also spoke with Sean Murphy about how excited we are that another Beach Bistro is coming to Sarasota! 2020!! We found this place by accident and had one of the top three meals ever. We started inside with a well crafted cocktail then went outside to dine. We chose to sit at one of only three tables on the beach. The food was a carefully prepared and perfectly presented combination of flavors and textures. Between the intimate setting and the divine meal all senses were elevated. The server was exceptional, accessible but not intrusive, sharing the history of the place and the details of the dishes but allowing us the time and space to take it all in. Truly a fine dining experience from a group of people who take pride in what they do. Find your way here. You will be talking about it for years to come, especially if you add the bacon to the caeser.